In 1969, British writer Armstrong (The Battle for God, etc.) entered a Roman Catholic convent, smitten by the desire to""find God."" She was 17 years old at the time--too young, she recognizes now, to have made such a momentous decision. Armstrong's 1981 memoir Through the Narrow Gate described her frustrating, lonely experience of cloistered life and her decision, at 24, to renounce her vows. In its sequel, Beginning the World (1983), she tried to explain her readjustment to the secular world--and failed. ""It is the worst book I have ever written,"" she declares in the preface to this new volume:""it was far too soon to write about those years"";""it was not a truthful account"";""I was...told to present myself in as positive and lively a light as possible."" The true story, which she relates in this second sequel, was far more conflicted and intellectually vibrant. Her departure from the convent, she writes, actually made her quite sad; she was""constantly wracked by a very great regret"" and suffering on top of it with the symptoms of undiagnosed temporal lobe epilepsy. 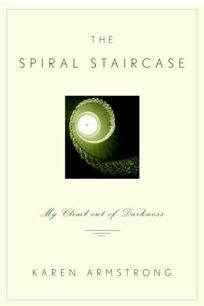 How she emerged from such darkness to make a career as a writer whose books honor spiritual concerns while maintaining intellectual freedom and rigor--this is Armstrong's real concern, and the one that will be of most interest to the fans of her many acclaimed works.